Apocalypse Now stopped being thought of as a film many years ago. It is now a legend, a work of art that is simultaneously an established classic and a cautionary tale. How can we watch the film now without instantly thinking of the stories and myths that surround its notorious production? We view the opening sequence and think about how Martin Sheen was really having a drunken breakdown as the cameras rolled, punching a mirror and cutting his hand for real. We watch Brando's giant, dome-like head loom from the darkness and we immediately recall anecdotes about how unprepared and overweight he was when he finally arrived to film his scenes, and how Francis Ford Coppola spent three days reading Heart of Darkness to him. We think of the typhoon that flattened the set, Sheen's heart attack, the shooting scheduled that ballooned from four months to three years, and the budget that escalated in a similar fashion, prompting Coppola to put his own personal fortunate at stake. 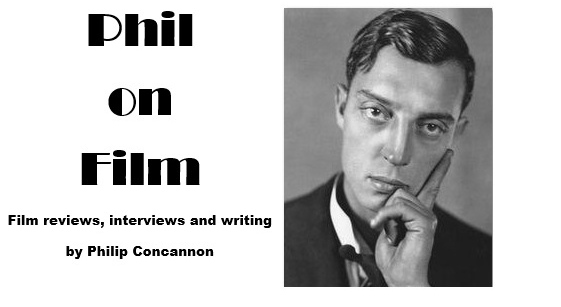 Coppola's wife Eleanor has made a film (Hearts of Darkness: A Filmmaker's Apocalypse) and published a book (Notes on Apocalypse Now) that ensure we know as much about the making of this film as we do about the film itself. All of which suggests that it's high time we shift the spotlight back to where it belongs and to remember that there's a movie – a crazy, ambitious, indelible movie – buried underneath these layers of turmoil. Apocalypse Now was born under the pen of John Milius, who adapted Joseph Conrad's Heart of Darkness and placed it in the context of the Vietnam war. The original idea was for George Lucas to direct Milius' script (on the new Blu-ray, Milius explains that Lucas "didn't want to go where they have many different varieties of poisonous insects.") but Coppola took the reins on the picture in 1976. The movie that finally emerged from the chaos three years later was like no war movie before or since; a wild, psychedelic attempt to approximate the madness of warfare. The story sends a restless young soldier on a journey. First glimpsed going stir crazy in his Saigon hotel room, Captain Willard (Sheen) is a man desperate for a mission: "and for my sins they gave me one." 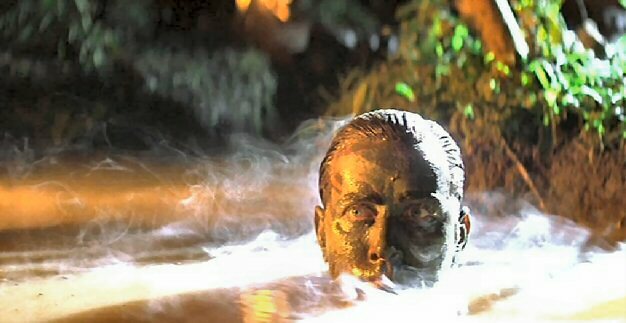 He has been ordered to travel up the river and deep into the jungle to locate and assassinate Colonel Kurtz (Brando), a former Green Beret who has gone rogue. The journey is both a literal and metaphorical one, with Willard sinking deeper into "the horror, the horror" of war as his boat gradually gets closer to Kurtz's jungle compound. They encounter spear throwers, a tiger leaping from the shadows, a surf-obsessed colonel wearing a Stetson and shades who barks orders through a bullhorn (the great Robert Duvall); but most of all they face themselves, and the darkness that lies within all men in the midst of war. Watching Apocalypse Now again on Blu-ray, some years after my last encounter with the film (which was probably the release of Apocalypse Now Redux, back in 2001), I was stunned by the intensity of the film, which rarely lets up for most of its first half. Coppola whips us into a fervour immediately, starting his film with one of the great opening sequences in cinema history - The Doors, the napalm, the emotional and spiritual pain of Sheen, and the whup-whup-whup of those helicopters merging with a ceiling fan. Coppola directed Apocalypse Now and Milius wrote the screenplay, but I think Walter Murch should be considered a co-author of the film for his invaluable contribution. His editing is peerless throughout the film, maintaining a tension that suggests an undercurrent of insanity (that occasionally spills over) in every scene, and his sound design has already become a part of history, essentially creating the 5.1 Dolby Surround Sound system that has become the cinematic standard today. When you factor in Vittorio Storaro's vivid and surreal cinematography, you have a film that looks and sounds like nothing else. It plays like nothing else too. You could argue that Apocalypse Now is uneven, and I think that's fair observation. The film peaks around halfway through with the beach attack scored to Ride of the Valkyries and at times after that it seems to stagger along, as if the film itself has been stunned by the sheer, unmatchable bombast of that unforgettable sequence. But then there's Brando, waiting for us at the film's climax, huge and unknowable. The whole movie has been building to this confrontation, but here Coppola undercuts our expectations once again. Ask yourself this: what other movie would build its climax around TS Eliot poems being read in the dark, the ravings of a drug-crazed photographer, a bull being slaughtered in a tribal ritual, and a final shot that ends the film on an eerily unsettling note. I called Apocalypse Now's start one of the great opening sequences in cinema; the ending isn't far behind it. Apocalypse Now was a film made by people slowly losing their minds and it feels that way. I think the Redux re-edit was a mistake – it allowed those people to take a considered, sane view on a film that was never meant to be considered or sane in the first place – but the 1979 original feels as fresh and essential today as it ever has. Like few other war films – say, Malick's The Thin Red Line or Klimov's Come and See – Apocalypse Now seems to get and express something about the nature of war rather than simply tell a story about it. There is something pure and primal in this film, and that's down to the manner in which it was made, the fact that the men who made Apocalypse Now poured their souls into the making of it and had no chance to step back, to take an objective view. Willard's journey into darkness became Coppola's journey into darkness, and whenever we revisit this extraordinary masterpiece, it becomes ours. Where on earth do I start? The new Blu-ray package from Optimum is everything an Apocalypse Now fan could ask for. The three discs include both versions of the film, Hearts of Darkness (complete with a commentary from Eleanor Coppola and an older, more rueful Francis) and a stunning array of extra features. There are too many to go into here, but they cover every aspect of the production, including some fascinating insights into the sound design, the casting, and visual style. We see Brando reading The Hollow Men, we hear Orson Welles' radio production of Heart of Darkness, we get some deleted footage, but there are a couple of extras I really want to highlight. Coppola takes part in two hour-long conversations on the second disc, one with John Milius and one with Martin Sheen. The Milius one offers a terrific insight into the origins and development of the film, with Coppola generously giving credit for most of the film's key sequences to the writer. The Sheen discussion is a hilarious and quite touching exchange of anecdotes, as the actor looks back with affection at a role that nearly killed him but ultimately made him stronger. In both, Coppola is a pleasure to listen to – he's one of the great movie talkers – and his commentary track (which runs across both Apocalypse Now and Redux) is yet another essential element of this fantastic package. Apocalypse Now will be re-released by Optimum into selected cinemas on May 27th 2011. It will be released on 3-disc Blu-ray on June 6th.